A feeling as if your left arm and hand fell asleep, leaving them temporarily paralyzed, can make women startled and concerned for their nerve health, especially if it's a common occurrence. Continue reading to learn about tingling in the left arm and hand and when you should be worried about it to have a step up on health. Is it Related to Heart Problems? Even though some evidence has linked numbness and tingling in the left arm and hand to the inflammation of blood vessels and the sudden onset of a heart attack or stroke, the underlying cause can be far less sinister. However, for menopausal women, the symptom is often caused by drastic estrogen fluctuations taking place in their bodies as they come to the end of reproductive years. Because estrogen is directly related to the health of women's central nervous systems, its extreme variations can provoke unpleasant symptoms. 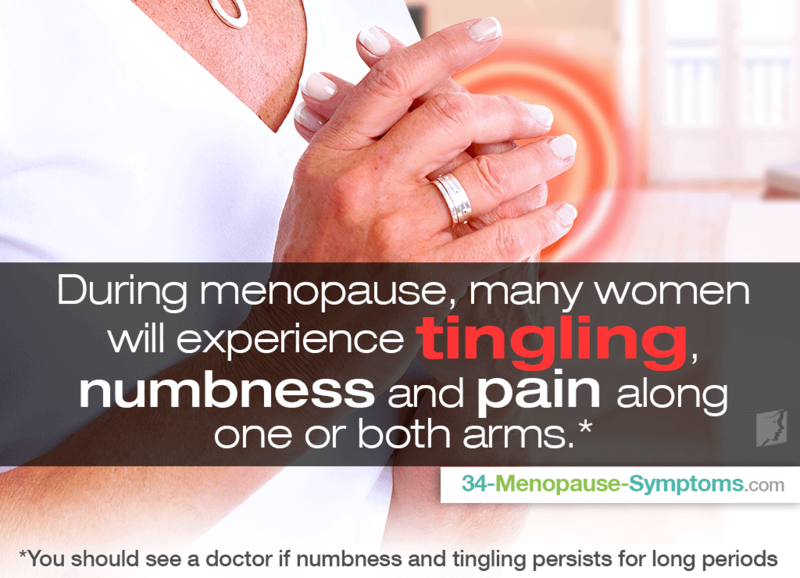 Although, it is worth mentioning that menopause-induced tingling, numbness, or searing pain can occur along one or both arms. The sensation is often accompanied by small bouts of dizziness and minor heart palpitations. These same sensations can even occur in pregnant women and others going through periods of reproductive significance whose hormones are rapidly changing. Other potential causes for tingling in the left arm and hand, specifically, could be animal or insect bites; radiation; nerve or neck injuries; maintaining the same position for long periods; and poor blood circulation to the arteries and veins from inflammation, which can also put pressure on peripheral nerves. In many cases, the tingling is triggered by nothing more than poor local circulation due to bad posture. It is recommended to seek out the advice of a trusted physician if numbness and tingling in the arm and hand on the left side persists for long periods, or if the feelings can be traced back to an injury involving a fall or another type of head, neck, or back trauma. However, it may be a cause for concern if there is no apparent reason for it or if it is accompanied by startling symptoms of vertigo, mental confusion, nausea, vomiting, fainting, chest pressure, slurred speech, impaired vision, etc. For immediate reprieve, improving your circulation can work wonders in just a few short minutes. Try a gentle self-massage or other light exercises to reduce tingling in your extremities, such as slow arm circles and stretches. This can help to stimulate blood flow in the left arm and all throughout the body. However, for long-term alleviation, tackle the symptom's root cause, hormonal imbalance. Tingling extremities treatment focuses on wholesome alternative options to promote a woman's overall health and well-being. Find out how you can thwart this agitating affliction once and for all by clicking on the previous link.